Everybody knows about Charles Darwin, and many know about others in his family, from Erasmus Darwin and Tom Wedgwood, the first photographer, to composer Ralph Vaughan Williams and poet and radical John Cornford, the first Briton to be killed in the Spanish Civil War. But when Charles and Emma Darwin's great-great-granddaughter, another Emma Darwin, tried to root her new novel in that history, the conflict between her complex heritage, and her own identity as a writer, became a battle that nearly killed her. 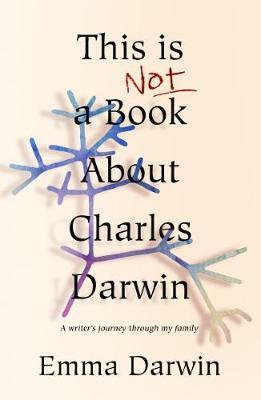 This is Not a Book About Charles Darwin takes the reader on a writer's journey through the Darwin-Wedgwood-Galton clan, as seen through the lens of Emma's struggle. Along the way, her wry, witty and honest memoir becomes a brave book about failure - and, above all, a book about writing and how stories are told. Richly illustrated with over 40 black and white images. Emma was born in London, and grew up partly in Manhattan and Brussels. After studying Drama at university she had various jobs, including driving a sandwich van and selling musical instruments, before her first novel The Mathematics of Love (Headline Review/William Morrow) was published. It is possibly the only novel ever nominated for both the Commonwealth Writers Best First Book and the RNA Novel of the Year, and it was followed by her Sunday Times bestselling second novel, A Secret Alchemy. Her long-established blog This Itch of Writing gave rise to Get Started in Writing Historical Fiction, (John Murray Learning) and she also teaches and mentors writers. She is the great-great granddaughter of Charles Darwin and his wife Emma Wedgwood, and she lives in London.